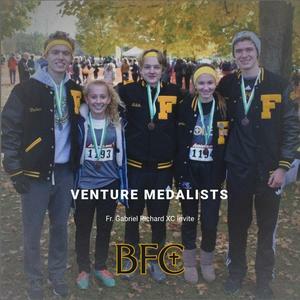 Boys and Girls Cross Country competed at the Fr. Gabriel Richard invite on Saturday. The girls had two medalists including Kathryn Podolan who finished 4th overall in the small school division and Elizabeth Powers who finished 18th. The boys team was the champion in the small school division beating 10 other teams. The Ventures were paced by Jack Decker who finished 2nd overall and was 7/10 of a second from beating the school record for a junior. Jacob Rusch and Mitch Mandziuk also medaled with 16th and 21st place finishes. 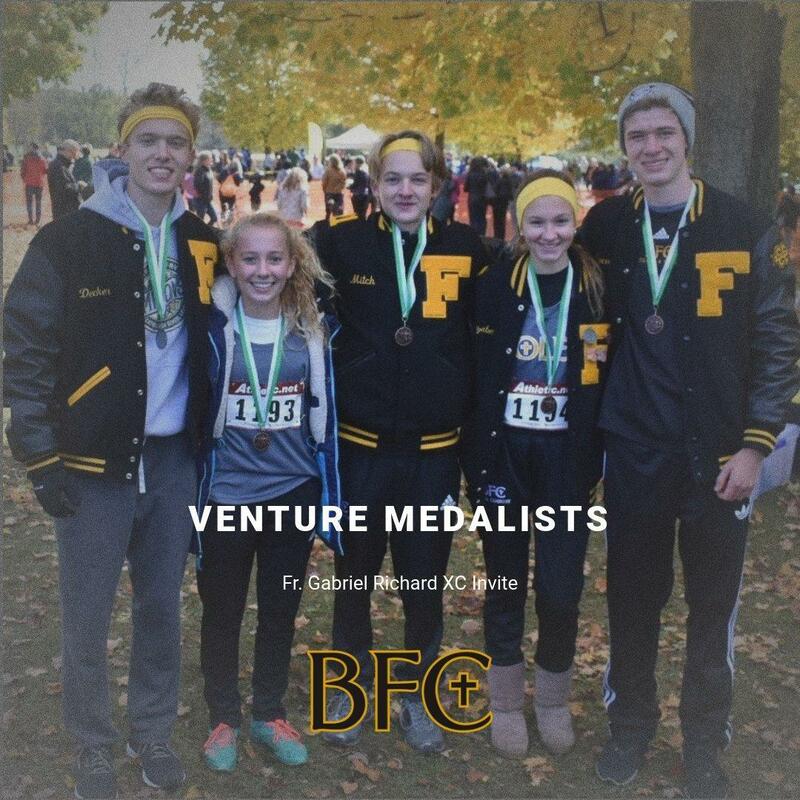 The team next competes this Saturday at the CHSL championship at Kensington metro park.